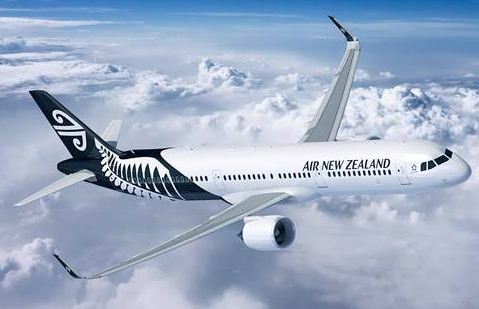 The Airbus A321neo in Air New Zealand livery. Airbus photo. 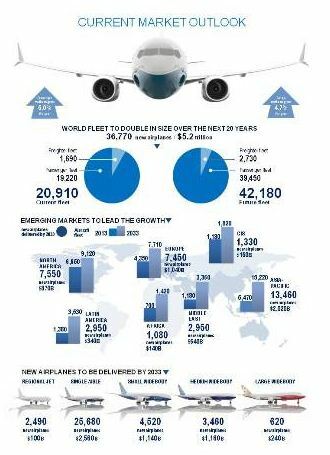 Air New Zealand has announced a major fleet revamp with an order for 14 Airbus jets at a list price worth more than US$1.2 billion. As of now, the order is for 10 A320neo (new engine option) aircraft, three A321neos and one A320ceo (current engine option) jet. But the airline stressed that the exact mix of the aircraft will be confirmed later. The deal was announced at the International Air Transport Association’s Annual General Meeting in Doha, Qatar, today. Delivery of the A320neos is expected to begin in late 2017, but the airline expects to receive the A320ceo early next year. The fuel-efficient A320neos will be used on Air New Zealand’s Tasman and Pacific Island routes. “These aircraft will help to ensure we continue to operate one of the world’s youngest jet fleets,” said CEO Christopher Luxon. Airbus says it has some 2,700 orders for A320neo models from 50 customers. Air New Zealand is returning to Singapore eight years after pulling out of the city. The resumption of Auckland-Singapore service is part of a major deal announced today by Air New Zealand and Singapore Airlines. The agreement will also enable Singapore Airlines to operate the Airbus A380 superjumbo to Auckland for the first time. The deal also calls for codesharing on several sectors. Both airlines praised the alliance. “An alliance with Singapore Airlines clearly fits our business objectives of working with the right partners in the right markets to deliver seamless customer journeys,” said Air New Zealand CEO Christopher Luxon. Singapore Airlines CEO Goh Choon Phong called the deal another example of the carrier’s commitment to the Southwest Pacific market. The Competition Commission of Singapore and the New Zealand Minister of Transport have yet to approve the deal. 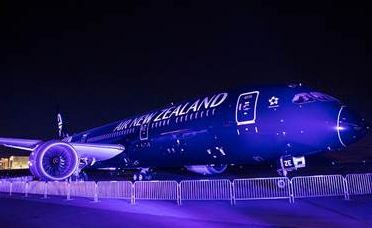 The test aircraft lands in Auckland. Boeing photo. 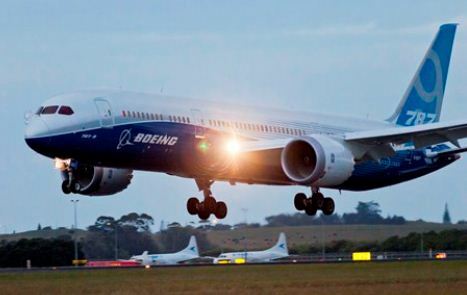 The new version of the Boeing 787 Dreamliner has made its international debut. The 787-9 flew to Auckland, home of launch customer Air New Zealand, this week from the United States as part of a test program. 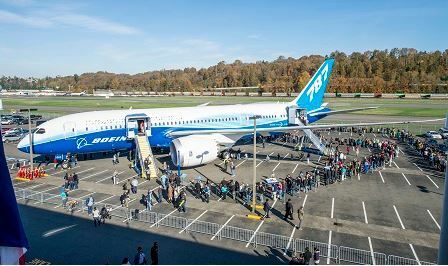 The aircraft, codenamed ZB002, took off from Seattle at 9:55 a.m. Friday and landed in Auckland 13 hours, 49 minutes later, marking its longest flight since the program began, Boeing said. The airplane is scheduled to continue on to Alice Springs, Australia, for testing in hot weather, the company said. The ZB002 is the only 787-9 fitted with elements of the passenger interior. The 787-9 is 20 feet longer and can seat 40 more passengers than the Dreamliner 787-8, which went into service in October 2011. Air New Zealand, which has ordered 10 aircraft, will get its first 787-9 in the middle of this year. The airline plans to use it on the Auckland-Perth route, starting October. In all, 26 customers, including Air Canada, have ordered 402 787-9 Dreamliners.